Back in 2008-9, Writer Abroad lamented the lack of writing events in Zurich. So in 2010, she joined up with two other Zurich-based American writers, bravely invited a couple of famous authors to teach in Zurich over a weekend, crossed their fingers that other aspiring writers would attend the weekend, and then they held the first Zurich Writers Workshop. It felt great: Instead of lamenting the lack of something, they were creating something. Now, eight years later, thanks to a Canadian and Swiss writer, who have also joined the planning committee, the Zurich Writers Workshop is still going strong. In fact, it's time for workshop number 7. Yes, the 7th Zurich Writers Workshop will take place May 12-14, 2017 in Zurich, Switzerland this spring. And you're invited. 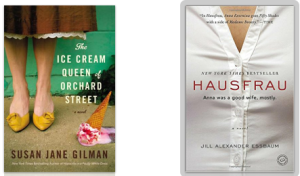 The featured authors' latest books. Poetry and Prose with Jill Alexander Essbaum. Each section also includes the Sunday Panel: Career Paths in Writing. There is also the opportunity to register for the Sunday Panel only. The entire workshop is conducted in English. To register, click here. A well-written writings demonstrates good written communication skills.The writings is a small fictional work of art, as long as an individual outlook on a solitary topic. A writing is a work out in communication. Thank you so much for the post. Many thanks for sharing such a meaningful post on 7th Annual Writing Workshop in Zurich. And very well explained every point of this post which would like to share with team of qualified academic experts who are providing top essay writing service for university students at best quality essay writing help provider consultancy Quality Assignment UK. I am sure they would be like this post and want to contribute here. Being as an essay writer I would like to bookmark your website so I can come here again to read you. Thank you. Hello everyone in this forum, I am Jane Robin from palm Harbor Florida 34682. USA and want to use this medium to express gratitude to UP START LOAN for fulfilling their promise by granting me a loan, i was stuck in a financial situation and needed to refinance and pay my bills as well as start up a Business. I tried seeking for loans from various loan firms both private and corporate organisations but never with success, and most banks declined my credit request. But as God would have it, i was introduced by a friend named Mary Williams to UP START LOAN whom also confirmed to me that she also obtained a loan from them. In an attempt to resolve my current situation, i got in contact with the company via email and undergone the due process of obtaining a loan from the company, to my greatest surprise within 48hrs just like my friend Mary, i was also granted a loan of $80,000.00; So my advise to everyone who or know someone who desires a loan, if you must contact any firm with reference to securing a loan online with low interest rate of 2% and better repayment plans/schedule, please contact UP START LOAN. Besides, he doesn’t know that am doing this but due to the joy in me, i'm so happy and wish to let people know more about this great company whom truly give out loans, it is my prayer that GOD should bless them more as they put smiles on peoples faces. You can contact them via email on ( upstartloan@yahoo.com ) or Text/Call +1(574) 301-1639 And share your own awesome experience. hoa tuoi giá rẻ là mong muốn của mọi khách hàng khi đến với các shop hoa để mua hoa, tại shop hoa TPHCM chúng tôi luôn sẵn sàng cung cấp cho mọi khách hàng những sản phẩm hoa tươi đẹp với giá rẻ nhất. wifi cho su kienAfter You finish guest post ,just send them as per their guidelines. Very interesting post and informative. First of all, want to say thank you for sharing this one of a kind blog with us and I know that you have worked very hard for completing this post successfully. I am always in search of a blog like these for my personal growth so thank you for doing that and hoping to see more from in future also. Thanks for sharing this interesting post with us which has all the desired element which a reader wants to read in a blog so that they can improve their interpersonal skills on daily basis and hoping that you should write more and more and guide us in a better way. الآن عن طريق التواصل مع دار مسنين بالجيزة ستتمكن من الحصول على الرعاية المتكاملة لجميع كبار السن على يد اكبر المتخصصين و الاطباء ، كما هو الحال في دار مسنين بالمهندسين التي تقدم خدمات الرعاية الطبية المتكاملة لجميع المرضى من كبار السن ، و قد قمنا بافتتاح احدث فروعنا وهو دار مسنين بالهرم حتى نقدم افضل مستوى من الخدمة . I believe I should join the workshop representing my dissertation writing service and delivering best things to people. Really appreciate you sharing this article post.Thanks. Much obliged. NEET 2017 Paper Leak : Real OR Fake? Subway surfers play online free games, all sections of subway surfers also 6zar. Zombocalypse 2 is a very fun shooting game where you are going to survive against a zombie an attack. Unlike the first game of the series, you have to shoot twice in order to kill the zombies. In addition to this, various weapons will drop from the sky and you need to open your path to reach these weapons which will help you to kill zombies faster. As you make kill combos on zombies you will charge your super weapon and as you kill more the weapon will be stronger. Angry Birds Games - 6zar online free games is a great place to play Angry Birds games. Brave Shorties is one of the strategy games which progress in stages. This means that you will be attacking one by one on stages and your soldiers can pile up by sitting on each other’s heads. Each stage is harder than the previous one and you will be fighting against various enemies such as undead, zombies as well as bandits. The game has an online option as well but you need to register to play on that servers but you can still play on the local servers which will allow you to play against the computer. Comic Stars Fighting 3.6 is a fighting game that you will play with the Japanese anime characters. Unlike most of the other fighting games, this game has many different modes which you can choose from. You can play the story or play with other players online. Or you can prefer the free mode to make some practice. Moreover, you can evolve your characters while fighting and make more powerful moves to kill your opponents. We believe that you will really like this fighting game which has pixel graphics but really fun. It's good to see the information about a new writing workshop. Nice Blog keep writing. Thank-you ma'am for your time.